It is with great regret I have to announce that my team and I are ending our time of playing together on this very day. We have had a great run here and each and everyone I have played with on this team are people I will always call my friends. The reason to why we are calling a day to this team is that I haven't felt that the team has enjoyed playing with eachother lately as we use to. We haven't had decent flow for months and I don't want to lead something in which I have the feeling that it isn't going to work out properly. We definitely had our up and downs as a team and all the different lineups bring me happy memories that I will never forget. 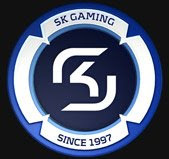 Last but not least I just want to give props to everyone from SK Gaming for all their help and for being really awesome people in real life and I will never forget the trips we went on together! Big thanks to merusame, bds & TheSlaSH who made this whole period possible. SK-Gaming has now officially removed DotA. What can you guys say about this disbandment? Pretty common with DotA teams nowadays huh.